there are 2 keypad types and one doesnt have an alt button. what to try first is put a sim in that it wont take and it may simply ask you for the code. The 9105 doesn’t have an ALT key, however you can put it into ALT mode. To activate ALT mode you must do the following: Press the right side Volume keys in the following sequence: up, down, up, down, up. The Alt icon should display in the top left corner of the screen. Note: If you press the Shift key it disables the ALT mode so it’s impossible to enter ALT-SHIFT-H.
How to enter my Unlock Code on Handspring ? 1. insert original sim card or motorola test card and turn phone on. 7. The phone will then reboot and the unlock is complete. 2. GO TO MENU>SETTINGS>SECURITY>SIMLOCK AND ENTER CODE. 2. Ensure the phone is charged and then switch the phone on. 5. Select Deactivate and enter the 8-digit unlock code provided. 6. The handset will be unlocked automatically and will display "Done". 5. The phone will then prompt- 'Input Network Control Key'. Enter the 8 digit unlocking code. Press OK. If the unlocking code comes with only 7 digits, add a 0 in front of the 7 digit code. If the unlocking code comes with only 6 digits, add 00 in front of the 6 digit code. 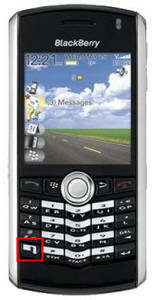 Phone will display "Invalid SmartChip"
Phone will display "Enter NCK, Remaining 5"
LG U81xx series ie. 8110, 8120, 8138 etc. turn on phone without sim card inserted. When you receive your unlock code you will also receive other codes too that you do not need. 1 - Insert a sim card that is not from the original network. This sim card can only be used on specific networks. Contact your customer service center for the unlock code. (it will also display how many attempts are left). 3 - Press the Enter Pin Button and enter your unlock code we supplied you to unlock your phone. 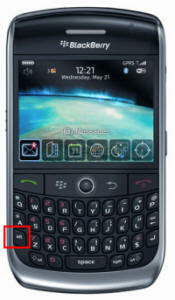 Firstly the phone must be switched on and without a sim card inserted, then input the code(s) using the phones keypad. If the above code fails try inserting a locked Sim (locked as in one that the phone will not accept) and try the lock code again. the codes needed will end +1# or +7# and in some phones you may also need +5# other codes are not needed. Firstly Double check the code you ordered by comparing the IMEI submitted to the server with the one on your phone screen (Type *#06#) if it is different, then you need to pay again as you have requested the wrong code. Also double check that you requested the correct network that the phone is currently locked to, if this is wrong then you will have to buy the code again. Common Problem: if your phone has had too many wrong attempts (3 + Attempts) using wrong unlock code from unreliable source (ie. ebay scam sites and other bad websites, or using free calc software), then your phone will display one of the following: "Not Allowed", "Code Error" or "Cannot undo restriction". Solution: you can use this software to force the code using a standard usb cable. Please watch the video tutorial below. Also Note: Some newer Nokia models like X3-02 and others cannot have their code forced by the software in the video above. Sometimes the codes can come through to you in this format too.. REMEMBER: Most networks only lock their Samsung handsets with the NETWORK lock enabled. Once you know which lock(s) is active, you can now enter the specific code for it. Once all locks are off your phone is unlocked. Alternatively you can simply put the sim in that the phone wont yet accept and enter the required code directly into the phone. 3. Now phone will ask you for Network Code, so enter CODE2 and press OK.
Imortant Help For Samsung i9000 Galaxy S, i9003 Galaxy SL, i9100 Galaxy S2, i9300 Galaxy S3 etc. SOLUTION: reboot phone with a sim it will not yet accept. Enter the UNFREEZE code (this will also state it was unsucessful - his is normal) then Enter you NETWORK code and it will unlock your phone. Important Message: Read notes at bottom of page if your phone display "Phone Freeze"
Model : Samsung i9000 Galaxy S, i9003 Galaxy SL, i9100 Galaxy S 2 etc. SOLUTION: enter the MCK code to unfreeze your phone first (this will also state it was unsucessful) followed by entering your unlock code and it will unlock your phone. 8. Virtual keyboard appears on screen with Enter PIN prompt. 9. Enter your 8-digit unlock code. 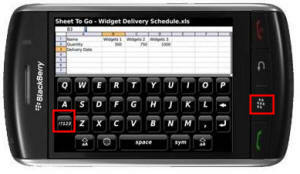 5. using the dial pad do the following: enter *#*#code# then press dial on the screen. It will then say The SIM Lock has been removed from the phone"
W950 models need to use * up * down ** down (up/down using the jog dial on the side). How to enter my Unlock Code on SPV ? How to enter my Unlock Code on Huawei Internet Dongle ? You will need the generic software to allow use of your dongle with other networks, as this will allow new APN settings. You may also need to change the "APN" settings on your card software after the unlock to enable you to connect to the new service provider. 2. Type in ##MSL/SPC CODE then the green talk button (i.e. : ##123456 Green talk button). Copyright unlockingpoint.com 2010 - All rights reserved.